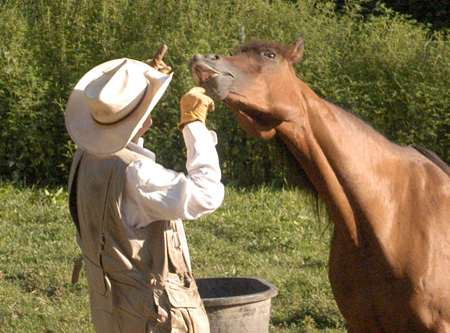 Our Mission: What’s In It for the Horse? 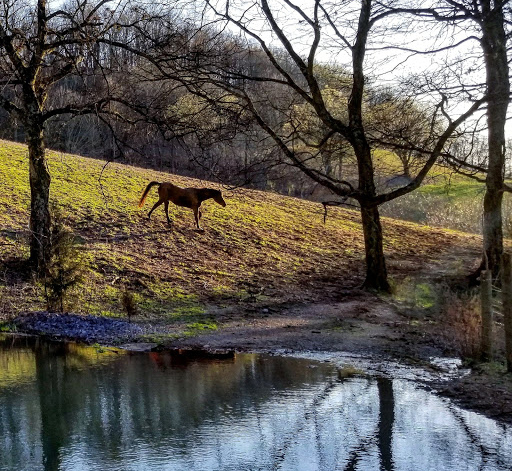 The photo above was taken from our front yard by Lucas Wiesmann, one of Kathleen’s Mock Trial students, at her annual Mock Trial Dinner last Friday, the day before the regional competition. The photo of Zeke racing down to meet the kids so beautifully represents who we are, our mission, that I’ve placed it on our home page and here on this this blog post, because both are about just that. Thank you Lucas! Are you asking everyday what’s in it for the horse? With lifestyle? With training? With diet? With feet? With relationship? What’s in it for the horse? Not what’s in it for me? Until then you cannot even imagine how good things can be. Clinician Ray Hunt always opened every clinic or symposium the same way. “I’m here for the horse,” he would say. 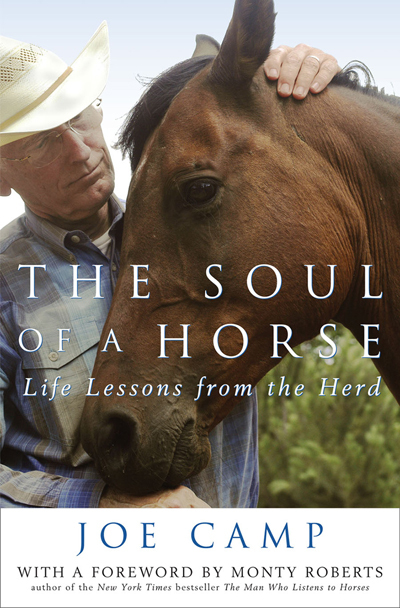 “To help him get a better deal.” He and his mentor, Tom Dorrance, were the first to promote looking at a relationship with the horse from the horse’s perspective. Their question was never What’s in it for me? But always, What’s in it for the horse? 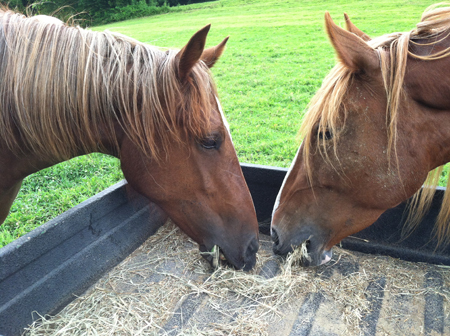 I’ve been searching a long time for a treat that is actually good for my horses. A treat that isn’t loaded with sugar or molasses, or grains which are mostly non-structural carbs which turn to sugar when metabolized, or soy, or hydrogenated vegetable fats or oils. We train with treats and use a lot of them. So I’ve been reading a lot of labels. Most of them are scary. 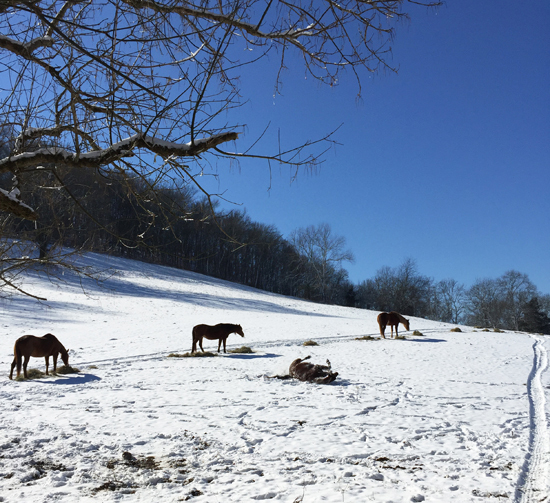 Here come the winter reminders: No More Blankets – An Amazing Article! 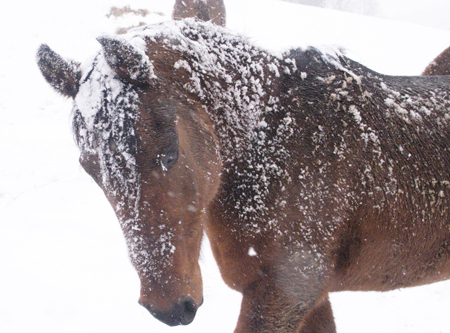 This is the best, all encompassing science on why horses should not be blanketed or groomed in winter, and should be fed free-choice grass hay 24/7. Well done! Natalija! All documented and referenced at the end.